Adding customer satisfaction ratings and reviews to public services just got easier now that Yelp offers a terms of service for official government use. Yelp, a Web and mobile-based user review platform, hosts insights from “real people giving their honest and personal opinions on everything from restaurants and spas to coffee shops.” With the addition of Public Services and Government under the Yelp umbrella, agencies can continue to find new ways to use customer insights to improve citizen services. Use customer feedback data to drive improvements in citizen services. The Yelp amended terms of service (51 kb MS Word, 5 pages), now available to all agencies for review, is an extension of an agreement GSA established in January for the Department of Transportation’s National Highway Traffic Safety Administration, which uses Yelp’s API for the SaferRide mobile app. 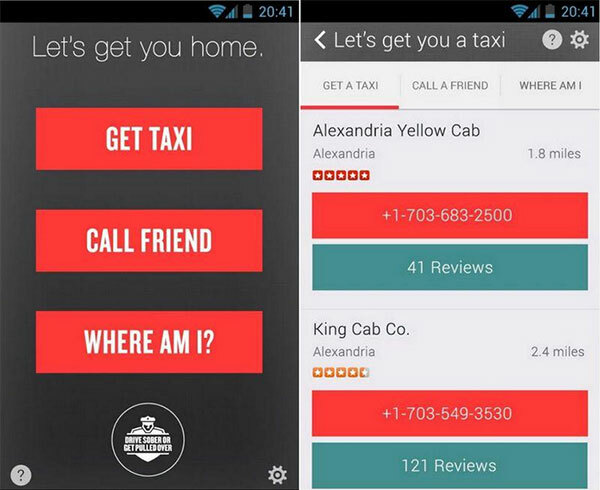 The SaferRide app included user reviews of transportation services to give holiday revelers an easy way to find a ride home when they’ve had too much to drink instead of getting behind the wheel. As part of the standard terms for federal government use of free third-party apps, advertisements will be removed from official government pages to prevent perceived endorsements. For more information on federal-friendly terms of service agreements and how to get them for an app, check out our resources for agencies and companies. 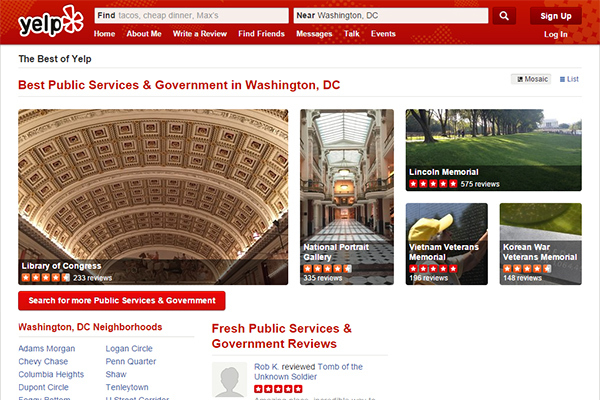 Do you have ideas on how agencies can use Yelp or its API to improve citizen services? Let us know and check out the extensive list of federal-friendly TOS agreements for other free apps and digital tools on DigitalGov.